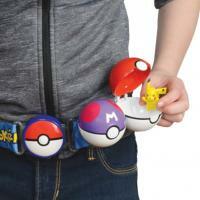 With the awesome Pokmon Pok Ball Clip ‘N’ Go Belt Set you are ready to do battle anytime, anywhere! Choose from the Pikachu set or Jangmo-o set for a training adventure of epic proportions! 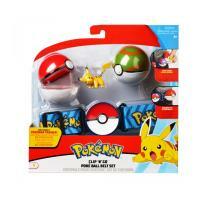 Each set includes one 2-inch, in-scale figure, one Pok Ball, one Nest ball, and one adjustable Clip ‘N’ Go belt that can hold up to 6 Pok Balls (other Pok Balls sold separately). Fits other 2-inch Battle Figures (sold separately). 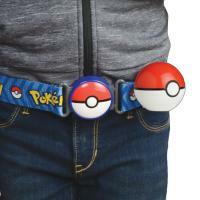 It’s the perfect addition to your Pokmon world. Gotta Catch ‘Em All™! Suitable for ages 4 years and up. 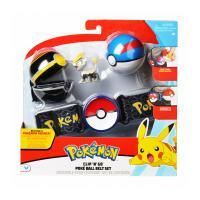 Other Pok Ball each sold separately.